Apologetics is a branch of Christian theology that helps give reasons for the truthfulness of the Christian faith/worldview. The word “Apologia” means “to give reasons, make a legal defense” (Acts 26:2; 2 Tim. 4:16; 1 Pet 3:15). Throughout Acts, Luke uses words such as reason, (trying to) persuade, eyewitness, witness, defense. It is true that many other religions have their own apologists. But in this post, I will focus on what are called apologetics systems. Thus, in this post we will discuss various types of Christian apologetic systems. Classical apologetics operates in a two-or three step process (philosophical, theistic, and evidential). Working from the vantage point of certain undeniable foundational principles, such as the laws of logic and self-existence, certain philosophical questions are addressed, such as truth, reality, meaning, and morality. Since a belief in God as creator is essential for an individual to become a Christian (Hebrews 11:6), the primary goal is to help the unbeliever understand reality untainted by false assumptions. The second step offers evidence for the existence of God, usually in the form of traditional theistic arguments and empirical data such as manuscript and archaeological evidence. Norman L. Geisler’s and Frank Turek’s I Don’t Have Enough Faith To Be An Atheist is an example of a classical method. 9. Therefore, Jesus was God in human flesh. We notice in Point #1 that Geisler and Turek are aware that we are living in a somewhat post-modern culture. That is why they point to the issue that truth is knowable. As seen above, the classical apologist generally starts with the evidence for God outside the Bible and then works his way to demonstrating that such a God would want to reveal more of Himself to the human race through special revelation. Hence, classical apologetics relies heavily on natural theology. Of course, the classical apologist knows that many faiths try to use miracles to validate the truth of their religion. Therefore, the classical apologist demonstrates that many of the miracle claims outside the Christian faith are lacking in historical/evidential support. While natural laws may be descriptive, they certainly are not prescriptive. Therefore, the classical apologist will demonstrate that there are good philosophical reasons to believe that miracles are both possible and actual. Probably the most well know defender of the faith that utilizes the classical model is William Lane Craig. If you watch any of the debates with Craig, anyone can see Craig utilize cosmology and other arguments for God outside the Bible before providing evidence about the resurrection of Jesus. Classical apologetics has also been practiced by Augustine, Anselm, and Thomas Aquinas. Modern classical apologists also include Winfried Corduan, John Gerstner, Stuart Hackett, Peter Kreeft, C. S. Lewis, J. P. Moreland, and R. C. Sproul,. How do you explain the Origin of the Universe? How do you explain the Mathematical Fine-Tuning of the Universe? How do you explain the Terrestrial Fine-Tuning of Planet Earth? How do you explain the Biological Fine-Tuning of Complex Life on Earth? How do you explain the Informational Fine-Tuning of the DNA molecule? How do you explain the Origin of Mathematical Laws? How do you explain the Origin of Logical Laws? How do you explain the Origin of Physical/Natural Laws? How do you explain the Origin of the First Cell? How do you explain the Origin of Human Reason? How do you explain the Origin of Human Consciousness? How do you explain the Origin of Objective Morality? How do you explain Ultimate Meaning in Life? How do you explain Ultimate Value in Life? In regards to these questions, any attempt by theists to give scientific data (a peer reviewed document or book) is cast off as a “God of the Gaps” argument. Granted, I think we have provided answers to the “God of the Gaps” charge. And in return, the atheist just punts to a “nature and chance of the gaps” argument. In other words, whatever God explanation is given, some atheists assume that science (which is not a search for natural/material causes alone) will be able to show that eventually we will arrive at naturalistic explanation. Historical Apologetics does have some things in common with classical apologetics in that they begin with evidence to demonstrate the truth of Christianity. Both the classical and historical apologist see historical evidence to be crucial to the defense of Christianity. However, the historical apologist doesn’t see the need for theistic apologetics (starting with evidence for God outside the Bible) as prior to historical apologetics. The classical apologist believes it begs the question to discuss the resurrection as an act of God unless one had first established that a God exists who can intervene into the world. The historical apologist argues that one can show that God exists by demonstrating from the historical evidence alone that an act of God occurred, as in the resurrection of Jesus Christ. Jesus is the supreme apologetic. 1. The New Testament documents are historically reliable evidence. 2. The historical evidence of the New Testament shows that Jesus is God incarnate. This claim to divinity was proven by a unique combination of His miracles/His speaking authority, His actions, and His resurrection. 3.Therefore, there is reliable historical evidence that Jesus is God incarnate. So we see in this syllogism that another step would be to examine the New Testament claims of Christ to be the Son of the theistic God who offers miraculous proofs for his claims. The most important part of this type of evidence is that Christ was resurrected from the dead. Once the deity of Christ is established, it can be, and often is, argued that the Bible is the Word of God, since Jesus (who is God) affirmed it to be so. Two present day historical apologists are Gary Habermas and Mike Licona who specialize in the resurrection of Jesus. 2. Very Shortly after Jesus’ death, the disciples had experiences that led them to believe and proclaim that Jesus had been resurrected and had appeared to them. 3. Within a few years after Jesus death, Paul converted after a personal experience that he interpreted as a post resurrection appearance of Jesus to him. 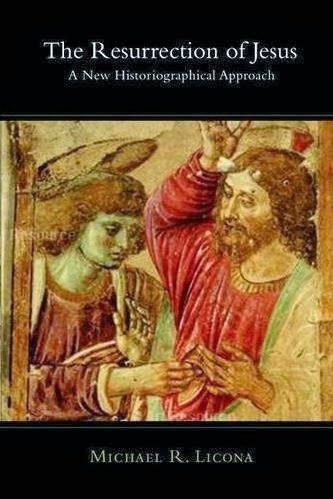 Licona is more than aware that just because there is a list of agreed upon facts that is agreed upon by historians and Biblical scholars will not make it true. If so, that would be what is called a “consensus gentium fallacy” which is the fallacy of arguing that an idea is true because most people believe it. As Licona says, “Something doesn’t become a “fact” just because the majority of scholars believe it.” (The Resurrection of Jesus: A New Historiographical Approach, pg 279). However, as Gary Habermas says, “Certainly one of the strongest methodological indications of historicity occurs when a case can be built on accepted data that are recognized as well established by a wide range of otherwise diverse historians.” (see Norman L. Geisler and Paul K. Hoffman, Why I Am A Christian: Leading Thinkers Explain Why They Believe (Grand Rapids, MI: BakerBooks, 2001), 152. Historian Christopher Blake refers to this as the “very considerable part of history which is acceptable to the community of professional historians.” (See Christopher Blake, “Can History be Objective?” in Theories of History, Ed. Patrick Gardiner (New York: Macmillan, 1959), pp. 331-333; cited in Geisler and Hoffman, 152. Habermas completed an overview of more than 1,400 critical scholarly works on the resurrection from 1975 to 2003. He studied and catalogued about 650 of the texts in English, German and French. Habermas reports that all the scholars who were from across the ideological spectrum agreed on the Historical Bedrock that Licona mentions. Therefore, the scholars and historians that Habermas researched were not all from a conservative or traditional perspective. Some of the critical scholars even included atheists, agnostics, Christians and Jews. So there was some impartiality in the study. What is interesting is Licona’s discussion of Bart Ehrman. Ehrman has become somewhat of a hero of the atheist community because of his popular works such as Misquoting Jesus, etc. I hope the atheist community knows Ehrman agrees with the Historical Bedrock. 1. Jesus died by crucifixion: Ehrman says: “One of the most certain facts of history is that Jesus was crucified on orders of the Roman prefect of Judea, Pontius Pilate” (see The New Testament: An Historical Introduction to the Early Christian Writings, pgs, 261-262). 2. Very shortly after Jesus’ death, the disciples had experiences that led them to believe and proclaim that Jesus had been resurrected and had appeared to them: Ehrman says: “Why, then, did some of the disciples claim to see Jesus alive after his crucifixion? I don’t doubt at all that some disciples claimed this. We don’t have any of their written testimony, but Paul, writing about twenty-five years later, indicates that this is what they claimed, and I don’t think he is making it up. And he knew are least a couple of them, whom he met just three years after the event (Galatians 1:18-19).” ( see The New Testament: An Historical Introduction to the Early Christian Writings, pgs, 282). 3. Within a few years after Jesus death, Paul converted after a personal experience that he interpreted as a post resurrection appearance of Jesus to him: Ehrman says: “There is no doubt that [Paul] believed that he saw Jesus’ real but glorified body raised from the dead.” (see see see The New Testament: An Historical Introduction to the Early Christian Writings, pgs, 301). Practical Application: I generally can start with people by getting them to agree that there are at least three facts about the Historical Jesus that are held by most critical scholars and historians. I list some of those sources here. See here as well. We can then discuss the best explanation for the resurrection appearances. Former atheist Anthony Flew said the resurrection of Jesus was the best attested miracle claim that he had seen (see There Is A God? How the World’s Most Notorious Atheist Changed His Mind(New York: Harper Collins, 2007). Another aspect of the historical argument is the argument from prophecy. Fulfilled prophecy does not prove the existence of God, but it does show that events predicted in his Name that come to pass are evidence of his special activity. See more here: The Argument from Miracles: A Cumulative Case for the Resurrection of Jesus of Nazareth. In the end, the debate over the resurrection is always going to be about metaphysics. One approach is what it called the a priori approach while the other is called the a posteriori approach. Deductive reasoning is called a priori (prior to looking at the facts) and inductive reasoning is called a posteriori (after seeing the evidence). If one has decided that many of the events in the New Testament are not possible (because of an a priori commitment to naturalism), it will impact how they interpret the evidence (after examining it). Some scholars may say they are open to taking an a posteriori approach to the resurrection, when it comes time to actually examine the evidence. However, in many cases, they set the bar so high that no amount of evidence will ever convince them. So in many cases, if one is just utterly convinced that the natural world is all there is than we are back to natural theology and whether naturalism can explain reality better than theism. Also, one reason historical apologetics will always come up is because even if someone does believe in some sort of Intelligence or Designer in nature, they will eventually have to look into history to get a fuller picture of God and his plans for humanity. Another popular level book on evidential apologetics is James Warner Wallace’s Cold Case Christianity. Another approach to apologetic methodology is called the presuppositional approach. This approach starts by assuming Christian truth about God and Jesus as revealed in Scripture and reasons from Christianity. The presuppositional apologetic to the unbeliever begins with reasoning “from” Christianity through special revelation (Bible). The presuppositionalist assumes the content revealed in Scripture to be true and encourages the unbeliever to do the same since these assumed biblical truths offer only possible foundation and explanation for life and godliness- a framework on which to make of the world and God the way they actually exist. Due to the noetic effects of sin (sin on the mind), the unbelievers presuppositions are deemed irrational and inadequate to understand or explain the basis for religion, morals, communication and beauty. In some instances presuppositionalists test consistency by using the laws of logic. The goal is to demonstrate in any of several ways, that only biblical presuppositions provide the tools for one to make sense of reality and show that Christianity offers the only foundation and framework on which on which to make sense of the world and God. The apostle Paul says that God’s existence and attributes can be “clearly seen” (Romans 1:18-20) since they have been “shown” to the unbelieving world through “the things that are made” (nature). Therefore, the unbelievers problem is not one of not understanding the truth of God, but of suppression, which leads to not receiving the truth. Presuppositional apologetics differs from classical apologetics in that presuppositional apologetics rejects the validity of traditional proofs for the existence of God. Also, the presuppositional apologist differs with both classical and historical apologetics in its use of historical evidence. The presuppositionalist insists that one must begin with presuppositions or worldviews. The historical apologist believes that the historical facts “speak for themselves.” They are “self-interpreting” in their historical context. The pure presuppositionalist, on the other hand, insists that no facts are self-interpreting, that all facts are interpreted and can be properly understood only within the context of an overall worldview. One well known presuppositionalist was the late Cornelius Van Till. Van Till answered the objection that the presuppositionalist method is circular by claiming that every system of though is circular. For example, a rationalist can defend the authority of reason only by using reason. Also, the Christian worldview is the only one that renders reality intelligible in its own terms. To read more about Van Till, click here. Depending on how one is defined, there are three or four basic kinds of presuppositionalism: (1) revelational presuppositionalism (2) rational presuppositionalism and (3) systematic consistency. Some view Francis Schaeffer’s apologetic as an example of a fourth variation that might be called practical presuppositionalism. Each approach differs in the way in which a worldview is judged for truth. Practical Application: I can’t say I have utilized a ton of presuppositonal apologetics. I do agree with the Romans 1 text that people do suppress truth. But it can be a challenge to start with the Bible with people. Advocates of the “cumulative case” method say the nature of the case for Christianity is not in any strict sense a formal argument from probability. In the words of Basil Mitchell, the cumulative case method does “not conform to the ordinary pattern of deductive or inductive reasoning.” The case is more like the brief that a lawyer makes in a court of law or that a literary critic makes for a particular interpretation of a book. The cumulative case method is an informal argument that pieces together several lines or types of data into a sort of hypothesis or theory that comprehensively explains that data and does so better that any alternative hypothesis. Paul Feinberg says that “Christian theists are urging that [Christianity] makes better sense of all the evidence available than does any other alternative worldview, whether that alternative is some other theistic view or atheism.” The data that the cumulative case seeks to explain include the existence and nature of the cosmos, the reality of religious experience, the objectivity of morality, and other certain historical facts, such as the resurrection of Jesus. C.S. Lewis said that “I believe in Christianity as I believe that the Sun has risen, not only because I see it, but because by it I see everything else.” ( The Weight of Glory, “Is Theology Poetry?” (1944), para. 24, p. 92). To apply what Lewis says, we can utilize what is called inference to the best explanation. The inference to the best explanation model takes into account the best available explanation in our whole range of experience and reflection. Another example of this approach is seen in a book like A Meaningful World: How the Arts and Sciences Reveal the Genius of Nature by Benjamin Wiker and Jonathan Witt. Also, using God as an explanatory explanation is seen in philosophical theology or natural theology arguments. The book The Blackwell Companion to Natural Theology does a fine job in handling this issue. Practical Application: I do like this approach. When talking to people, you can find common ground in that all humans observe the same things. Thus, they are both seeing many of the same features of reality. The question becomes is the most adequate explanation for accounts for these features of reality. 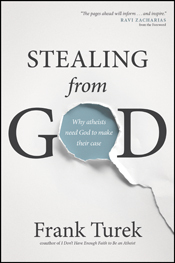 Frank Turek has taken this approach in his latest book called Stealing from God. 1. House, H.W, and J. Holden, Charts of Apologetics and Christian Evidences. Baker Publishing Group. Grand Rapids, 2007. 2. Geisler, N.L. BECA. Baker Publishing Group, Grand Rapids, 2007, pgs, 41, 154, 316, 607.